Why Does My Pet Have Fleas? "My five-month-old Cocker Spaniel has been on Frontline® for three months now. Every Saturday I give her a bath also using a flea and tick shampoo recommended by my vet. Yesterday I saw her scratching herself and decided to check her with a flea and tick comb. To my amazement, I removed two fleas from her coat. I am not sure what I have done wrong for her to get fleas. QUICK NOTE: please use caution when mixing flea products. I would also not recommend adding any additional flea products without consulting with your veterinarian first. This could have toxic effects. Additionally, one flea bath a week could be very drying for the skin; which in itself is a cause of itching (dry skin). Fleas need humidity and warm temperatures to survive. Some climates have bad flea problems all year round, some areas do not have bad flea problems (arid climate). It is important to note that a home in any climate may provide enough heat and humidity for fleas to survive if introduced to the environment. 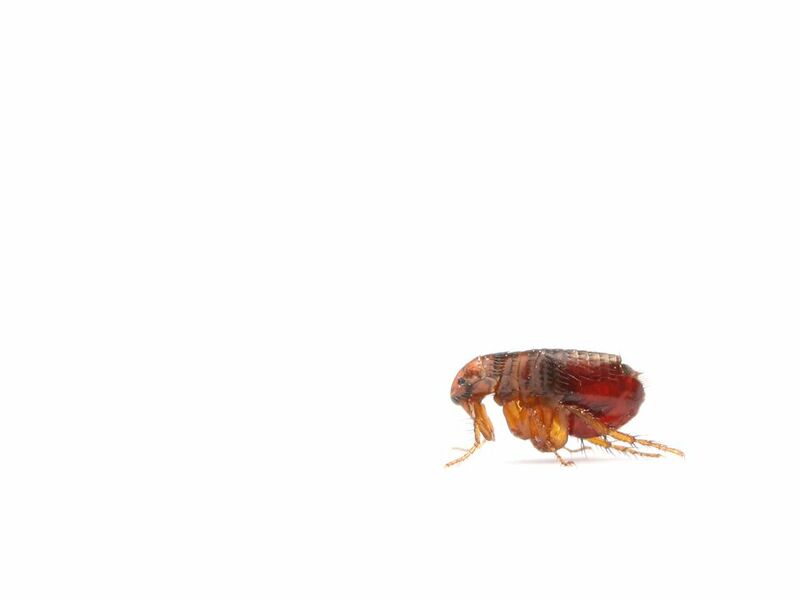 To combat fleas, you need to address both the pet and the environment, since fleas live a a large part of their life cycle off of the pet and in the environment (bedding, home, yard). Flea shampoos are meant to initially help clear an animal of fleas. The shampoo doesn't really have any long-term effects for flea control. Dips are more "long lasting", but I do not recommend them if at all possible (sometimes necessary for mites), since they leave a lot of chemical residue on the pet and any people the pet comes in contact with. Frontline and other similar topicals work by sinking into the fat/oil layer below the skin surface, so they are waterproof for animals that swim or have a bath once the product dries (recommended time is 24 hours). Frontline Plus® advertises that it kills both adults and eggs, so that should eventually break the life cycle, unless the environmental aspects aren't addressed. For environmental control, frequent vacuuming is necessary, plus washing pet bedding. If the problem is severe, please seek the advice of a professional home/yard pest control person. For pet-specific questions, always consult your veterinarian first, as they have examined your pet, know the pet's health history, and can make the best recommendations for your pet and for your climate.